Whew this week has been crazy so far, so I'm going to keep this short and sweet. 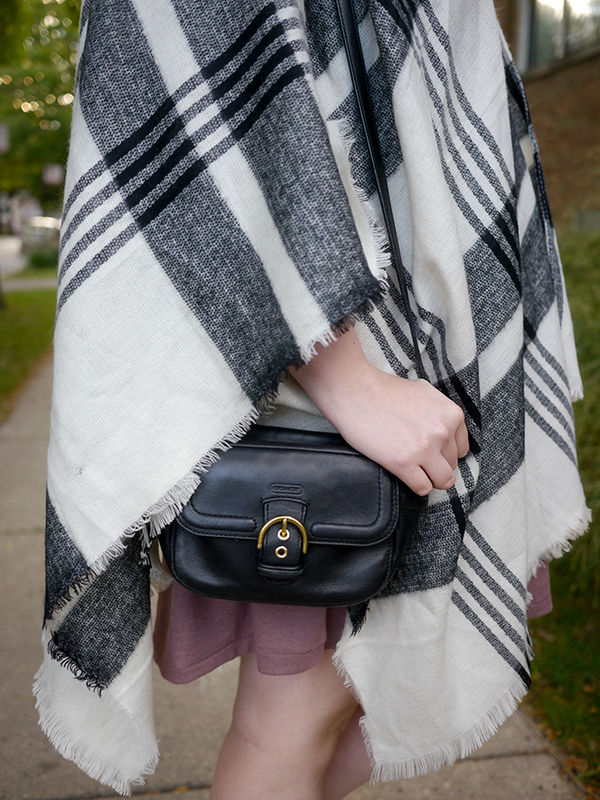 I snagged this plaid wrap/poncho back during the Nordstrom Anniversary Sale and it immediately sold out, but it looks like it's back!! 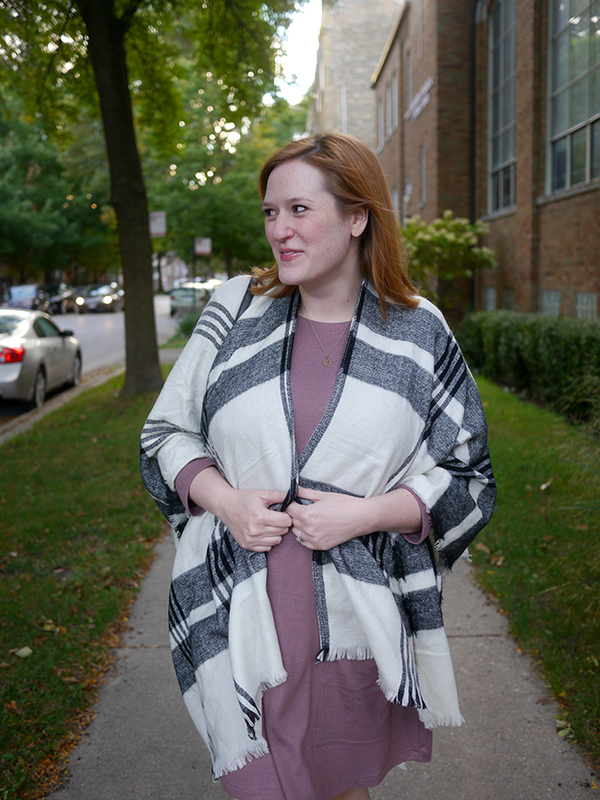 I love pieces like this because they let you easily mix up your wardrobe - it's great over tanks, long sleeves, sweaters, and dresses, and is a great way to add a layer without dying of heat stroke if it isn't quite fall weather in your neck of the woods yet. 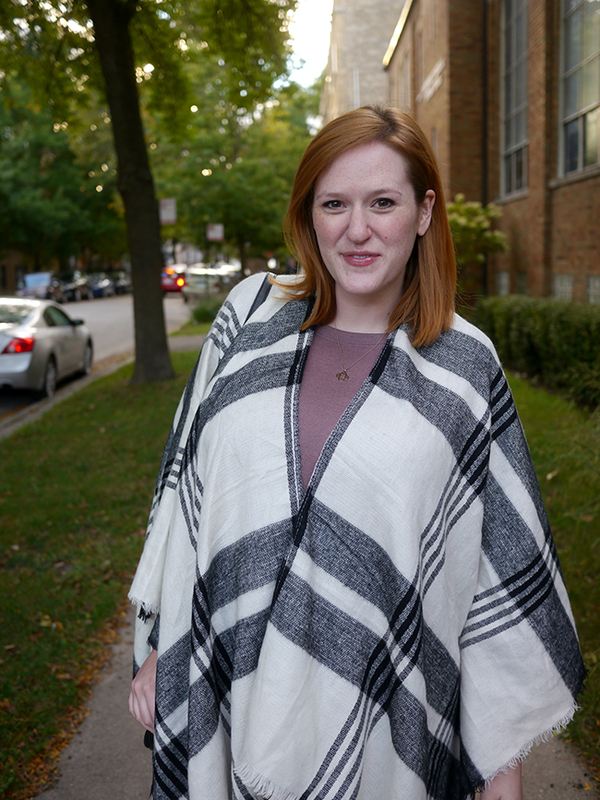 Of course, it's supposed to be about 50 degrees in Chicago today, so layers away!